It all began with beer and pretzels. Jim Walls, CEO of OrthoMedex, a young U.S.-based orthopedic implant company, had traveled to Cambridge, Massachusetts, to attend a gala evening for a delegation of German scientists and entrepreneurs who were visiting the area’s Life Science Cluster in an effort to encourage high-tech U.S./German collaboration. Eighteen months later, Jim Walls is himself a member of the Medical Valley cluster. OrthoMedex’s German subsidiary will begin work on a research project with the Fraunhofer Institute for Silicate Research in spring 2018 with other medtech companies from the cluster and researchers from Yale University Medical School. “At the same time, we use the facility and location within the Medical Valley cluster for launching new implants in Germany and the EU,” explains Walls. “The cluster is not only professionally equipped, it also has an entrepreneurial vibe to it that I enjoy when on-site.” The cluster, which is situated in northern Bavaria, has world-class academic and research institutions nearby, lots of early-stage medtech startups as well as established medium-sized companies. 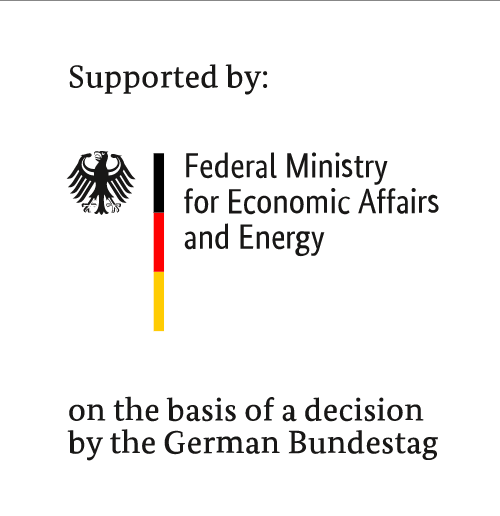 Throughout Germany there are numerous regional networks that bring together large companies, SMEs and startups, which then pool resources with local research institutes and universities toward a common goal: to develop innovative products and services for the global market. “The diverse research and development infrastructure these innovation ecosystems offer in Germany is unique,” says Gabriel Flemming, Senior Manager in the Chemicals and Healthcare team at Germany Trade & Invest (GTAI). 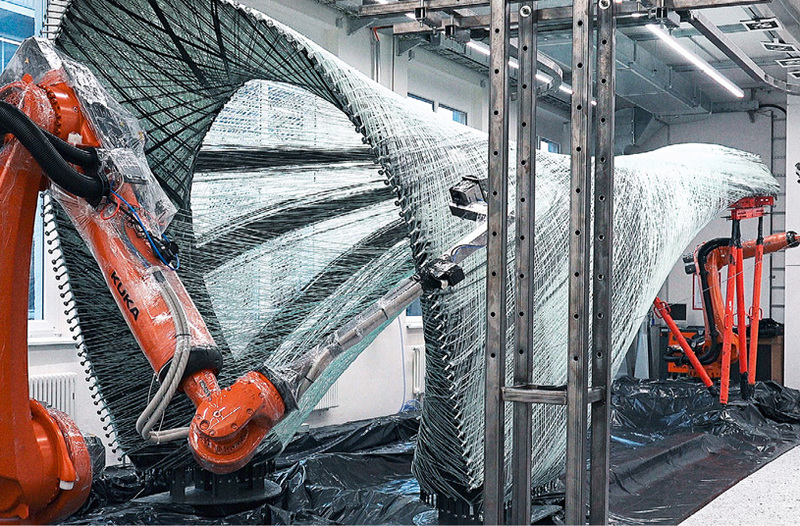 Fabrication of a pavilion made from carbon fiber-reinforced composites is underway, using fiber-winding robotic arms and an autonomous drone “weaver.” For this commission for the University of Stuttgart’s Institute for Computer-Based Design, SGL Group was tasked with delivering 104 kms of SIGRAFIL® 50k carbon fiber. The design technology was modeled on the larvae of the apple leaf moth, which spins its cocoon on apple tree leaves using long threads. Foreign companies will find cooperative, pragmatic development partners here. “Science is not being conducted here for the sake of science; it is about bringing products and innovations to market maturity efficiently and at the highest level,” says Flemming. 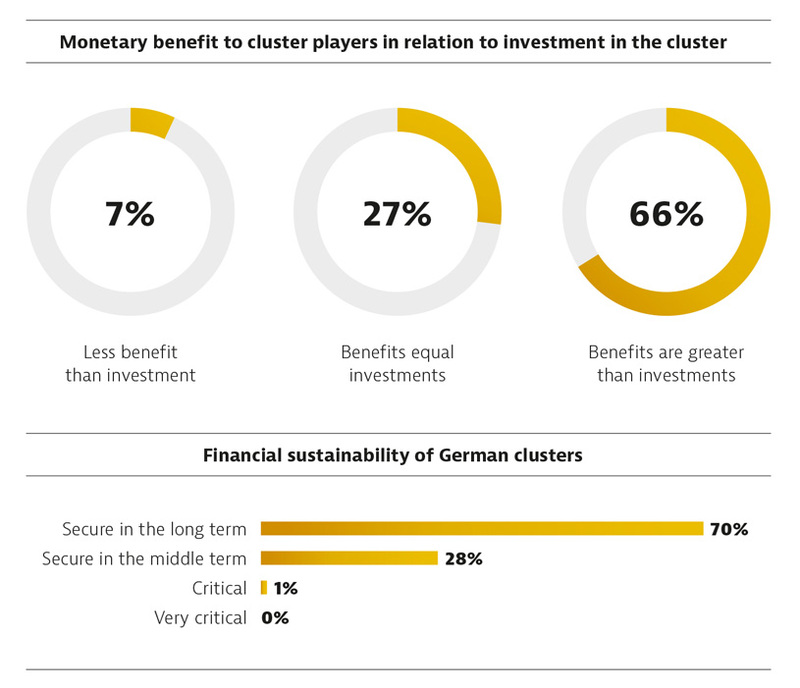 of companies in German clusters say that their economic situation is better than the sector average. in government funding has been invested in Germany’s leading-edge clusters over the last decade. As one example, Günter Korder, Managing Director of the high-tech cluster “It’s OWL,” is looking for foreign investors interested in getting involved in the network of innovative companies. The cluster pools the resources of global market leaders in mechanical engineering and the electrical, electronics and automotive supply industries, as well as internationally-renowned, cutting-edge research institutes. “We are one of the leading clusters in Europe on the topic of Industrie 4.0,” explains Korder. “This is because medium-sized industrial companies have traditionally engaged in very close cooperation. The cluster management meetings are attended by the heads of the participating companies and university presidents, as opposed to just the project managers. The cooperation has a very high strategic significance for all the companies involved. Many of the companies in northwestern Germany are so-called “hidden champions,” meaning they are hardly known to the general public but are world market leaders in their sector or market niche. Silicon Saxony is another highly successful and internationally active cluster. The network has more than 320 partners in the semiconductor, electronic, microsystems and software industries, several of which are international companies. The PEER Group is a Canadian systems integrator that serves the global semiconductor, photovoltaic and other high-tech industries. The company currently generates more than 40 percent of its annual turnover at its branch office in Dresden. in internationalization funding will be spent by 30 German clusters starting in 2018.
high-tech clusters form a network that works on current topics such as artificial intelligence, new mobility and smart infrastructure. The capital of Saxony has attracted a number of high-profile international investors, including UAE-owned semiconductor manufacturer Globalfoundries, which is investing €1.5bn in the expansion of its Dresden site over the next three years to increase its local production capacity by 40 per cent. The U.S.-based semiconductor company Integrated Device Technology (IDT) became a member when it invested more than $300m (€243m) in the acquisition of the Dresden-based company ZMD in 2015. Dresden has been a location for technology since the days of East Germany. “Since reunification we have followed this tradition,” explains Frank Bösenberg, Managing Director of Silicon Saxony Management. Many billions of euros in public funding have flowed into the high-tech region, the research and educational institutions, and the infrastructure of the semiconductor cluster since the 1990s. The investment has paid off. The Technical University of Dresden has earned a worldwide reputation for excellence in engineering and natural sciences and its graduates provide the cluster with a qualified labor pool. The researchers from local Fraunhofer research institutes carry out practical research on strategically important topics in the industry. “Foreign investors often buy into established companies or startups in order to benefit from the high-tech skills of the cluster employees, especially the well-trained German engineers,” says Bösenberg. Silicon Saxony has an industry-wide reputation for its outstanding specialist staff training resources and availability, excellent scientific infrastructure, and broad base of suppliers and service providers. While Silicon Saxony might be exceptional in terms of its singular achievements, it is not unusual: it is a typical example of a successful German cluster. Percentage of competence networks and clusters in Germany, Source: Clustermonitor Germany.